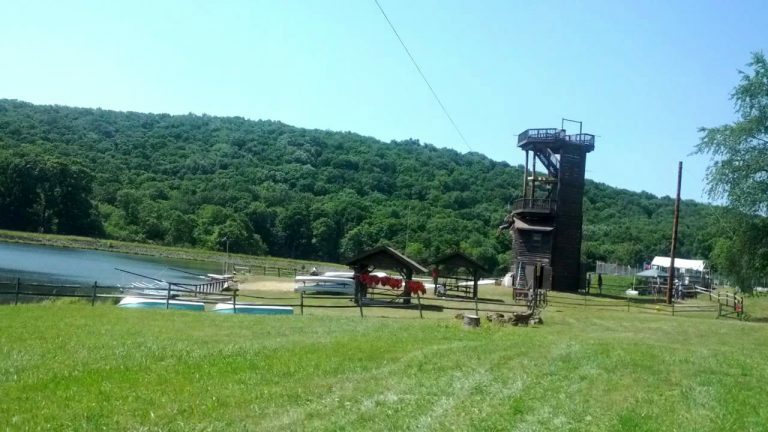 Camp Conestoga | Westmoreland-Fayette Council, B.S.A. This Leader’s Guide is designed to help you. It is geared to inform not only the leader who is sure his unit is coming to Camp Conestoga, but also for the prospective Troop. In here, you’ll find clear descriptions of what Camp Conestoga has to offer in Merit Badge programs, High Adventure activities, Patrol and Troop competition as well as special features. As the camp leader, you can make your job easier if you start to prepare for camp in a systematic manner as soon as you receive this Leader’s Guide. 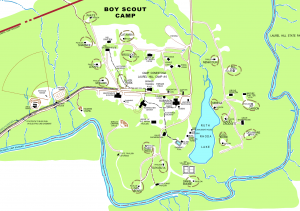 First, read this guide from cover to cover to become familiar with the camp program and the mechanics of taking a troop to camp. Also be sure to share this guide with your assistants so they will understand the camp program and be better able to provide leadership as well. Feel free to copy any part of this book and distribute them to Scouts and parents to help your planning. This Leader’s Guide is a guidebook of sorts, in that it collects hundreds of facts and data into a handy reference form. We hope that you will find this Leader’s Guide complete. But if some question is not answered, please feel free to contact the Council Service Center of the Westmoreland Fayette Council of the Boy Scouts of America at 724-837-1630. We look forward to your arrival at Camp Conestoga! $50.00 PER SCOUT–Due in the Council Service Center by March 1, 2019. The troop will receive the discounted fee to be paid in full by May 3, 2019 for the number of Scouts that the Troop has paid $50 for by this date. Exception will be Arrow of Light Scouts moving to the troop; they will receive the discounted price until May 3rd. This fee is necessary to hold the troop campsite and is credited toward the remaining balance. The fee is NON-REFUNDABLE but is transferable. $355.00 PER SCOUT, PER WEEK, IF PAID IN FULL BY MAY 3, 2019. $375.00 PER SCOUT, PER WEEK, IF PAID IN FULL AFTER MAY 3, 2019. 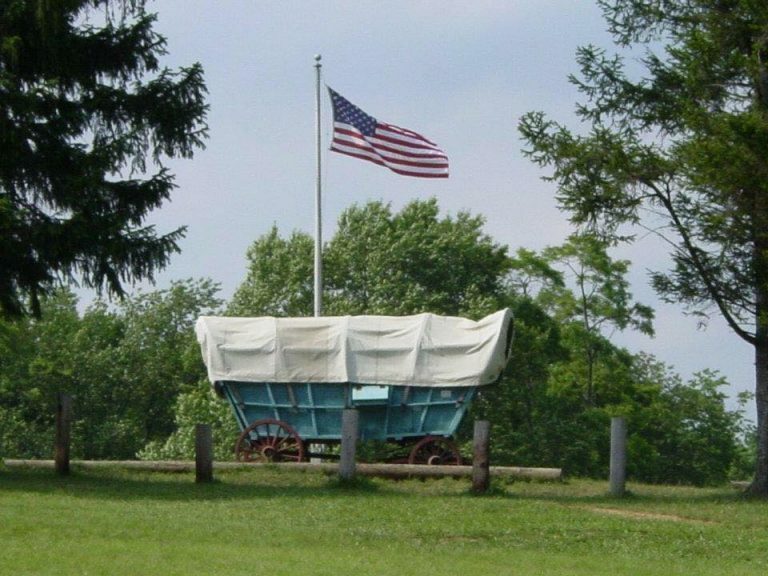 $25.00 per troop, this fee reserves the campsite, and may be rolled over from year to year. $320.00 PER SCOUT, PER WEEK OF CAMP. $70.00 price reduction per scout by prior arrangements. The fee is $285.00 PER SCOUT for All Troops. The First 2 leaders for every unit are free. Beyond the initial 2 leaders, a ratio of 1 leader to every 8 scouts will allow an additional leader to attend camp at no charge. Units bringing more than 2 leaders that do not meet the 1 to 8 ratio will be charged $220.00 per additional leader. One more Free Adult at 33, 41, 49, 57, 65, & etc. Fee for second (and subsequent) Scouts attending Camp Conestoga there will be a $35 per Scout discount. The fee is $320. 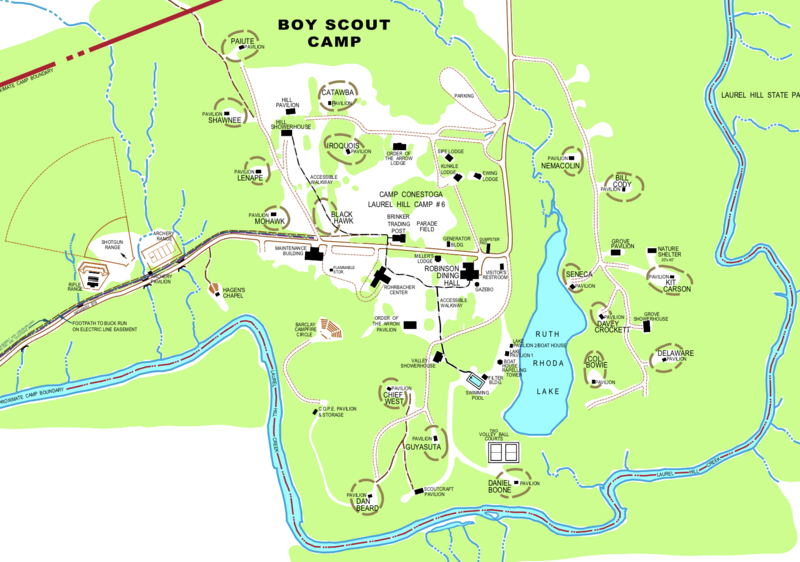 Families with Scouts attending both Conestoga and Buck Run will receive a 10% discount on the second (and subsequent) Scout camp fees. NOTE: Fees will be assessed on the Day of CAMP CHECK-IN at Camp Conestoga to ensure you meet the requirements. A COMPLETED TROOP ROSTER INCLUDING INFORMATION FOR ALL YOUTH AND ADULTS ATTENDING CAMP IS REQUIRED WHEN MAKING DEPOSITS ON MARCH 1, 2019 AND WHEN FINAL PAYMENTS ARE DUE ON MAY 3, 2019 AND WHEN YOUR TROOP CHECKS IN AT CAMP. The purpose of the campership program is to assist Scouts who have a financial need and have demonstrated fiscal inability to attend council sponsored camping opportunities. Please refer to the Campership Application in the Camp Forms section of this Leader’s Guide for more information. Campership applications will be reviewed by the campership committee. The Reservation Director shall be given power of approval beginning the first day of Staff training week. Camperships shall be available for all RESIDENT CAMPS. Camperships will be considered on a need basis. All campership applications must be received no later than April 8, 2019. You will be required to submit a copy of your 2018 Federal Tax Return with your application. Unit leaders are responsible for completing the “unit information” section and distributing applications to families with a perceived need. Parents or Guardians are responsible for the remainder of the application and for its submission. Want a great Summer Job where being outdoors is your office, and you get paid to have fun! 1.Deposit Fees are NON –REFUNDABLE. 2.Any fees paid over and above the non –refundable deposits may be refunded ONLYunder the following conditions. The youth is approved for a campership after the payment is received. The youth cannot attend camp due to a physician’s recommendation concerning illness, or injury. Cancellation is required at least 48 hours prior to his Troop’s arrival at camp. Notification must be made to the Camp Director either by mail or phone. The youth cannot attend camp due to a family emergency involving accidents or death in the family. Cancellation is required at least 48 hours prior to his Troop’s arrival at camp, if possible. Notification must be made to the Camp Director either by mail or phone. After the cancellation occurs, ALL REFUND REQUESTS, must be submitted in writing to the Council Service Center within 30 days FROM THE SCHEDULED DATE OF ARRRIVAL. All refund requests received later than 30 days will be denied. ALL REFUNDS WILL BE DISTRIBUTED TO THE UNIT.